Yesterday at my last OB-GYN appointment, the doctor informed me that according to his professional opinion, baby #3 or Mr. M would be arriving sometime within the next week or so. He had already told me a month earlier that he expected I would deliver early. I think he based it on the fact that I have already had a vaginal birth with my previous child and that I have two little active kids that keep me on my toes. Also, today is my 8-year wedding anniversary ( January 16, 2010) and Miss F was born on the August 16 and Mr. Z on February 16. So if Mr. M wanted to be born today, he’d join the long line of 16th birthdays and celebrations. It is my goal to go back through my pregnancy and share stories and experiences with you. I am often told and reminded that giving birth in France is quite different than another country. Probably because France seems to be backwards in its mentality and how the country is run (but that’s for another day). 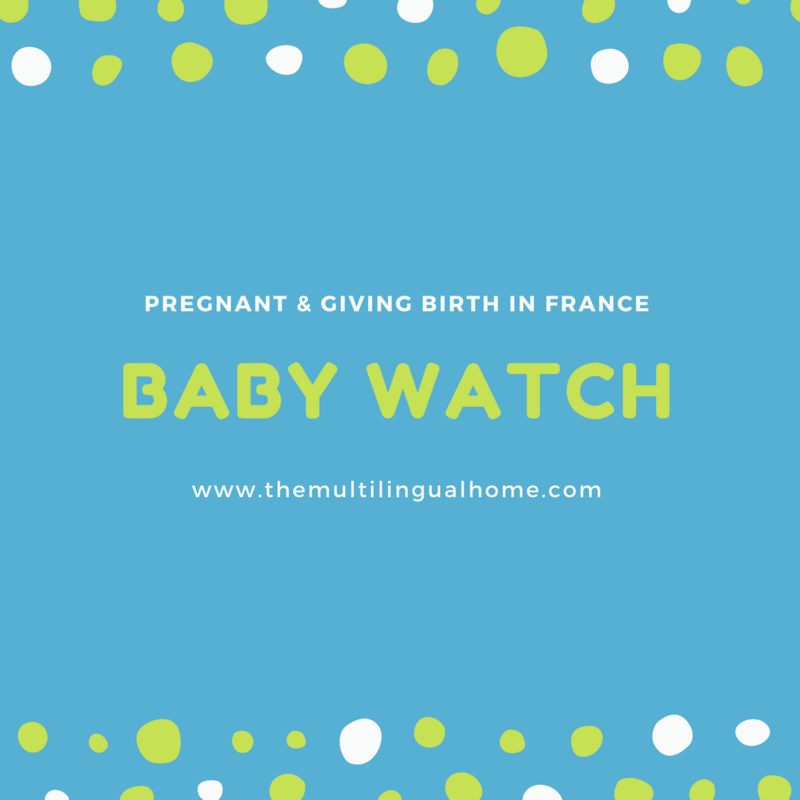 I hope these posts will help other expats who are currently living in France and pregnant or future to prepare for their birth by giving useful help and tips. Tomorrow, I will share what’s in my hospital suitcase ! There are a few things I had never heard of before so hopefully you will learn something new too!